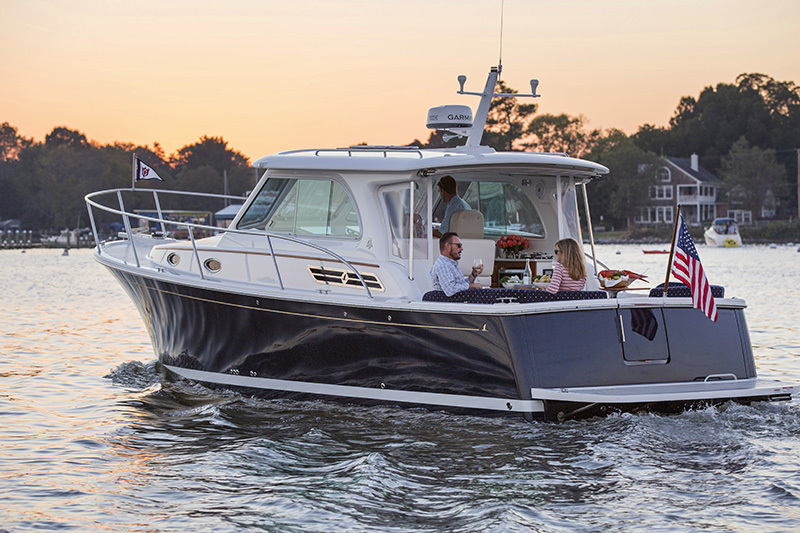 Perfectly proportioned for a cruising couple, the Back Cove 32 is easily handled, beautifully appointed and designed with practicality, comfort and fuel efficient cruising as her defining features. 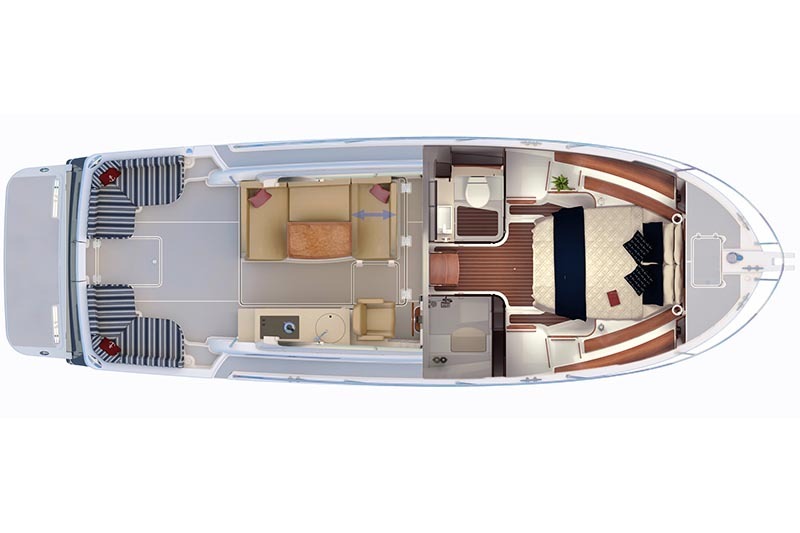 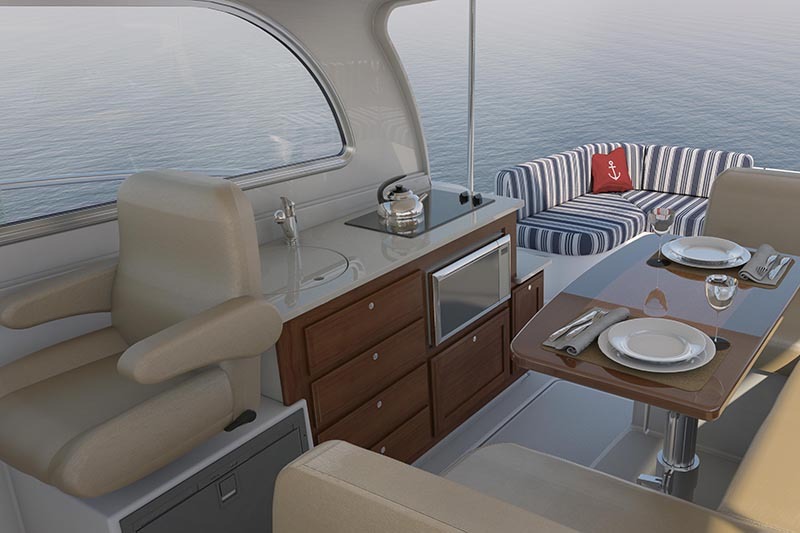 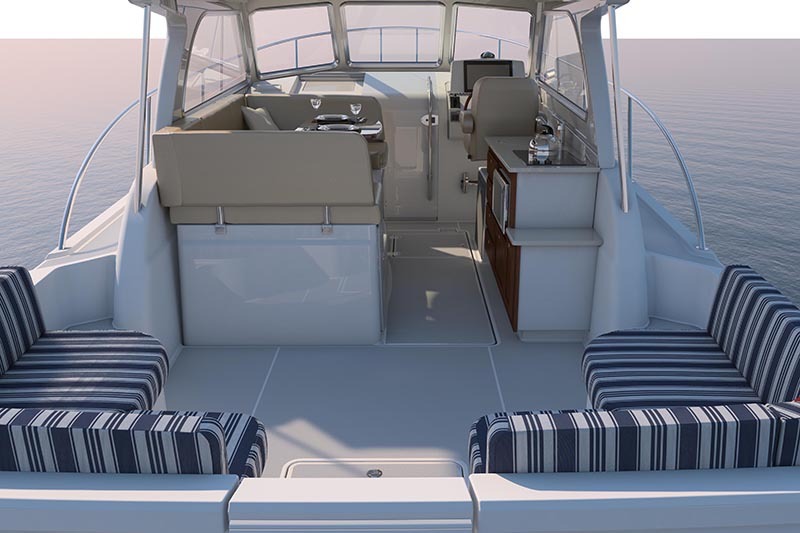 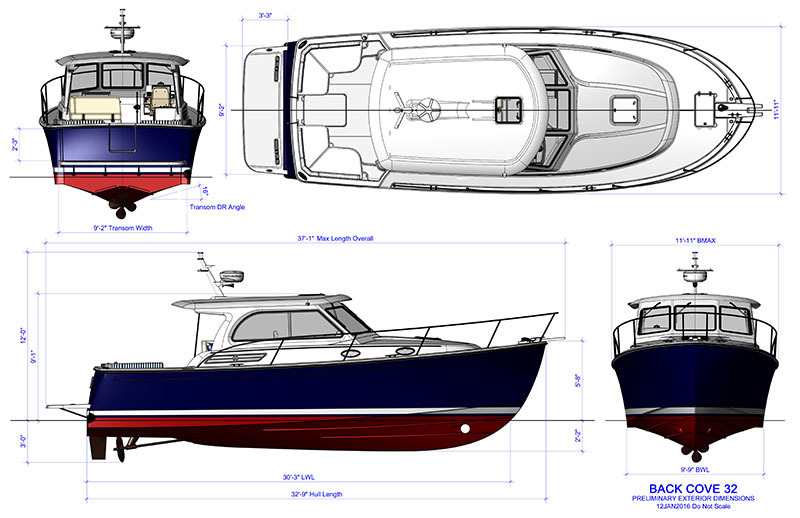 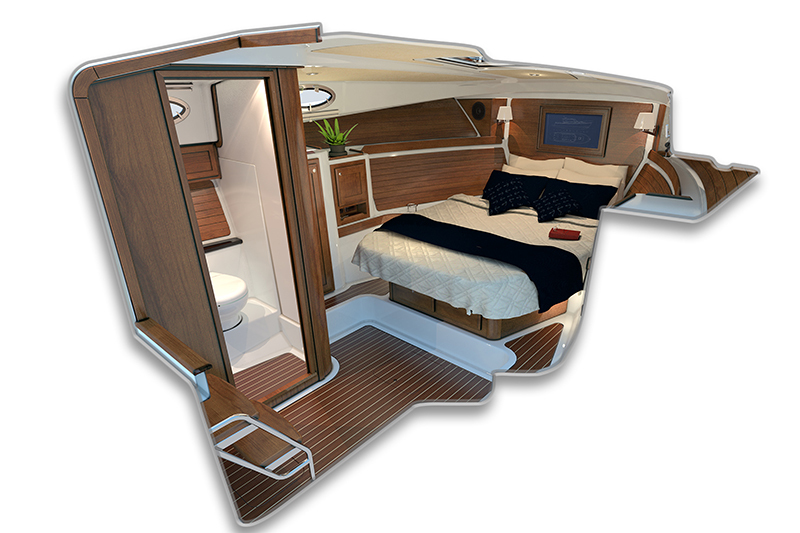 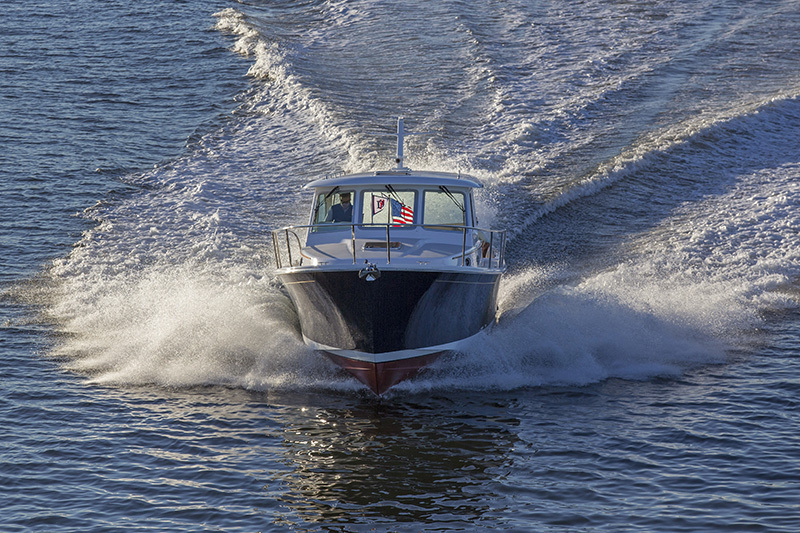 The Back Cove 32 is powered by a single diesel engine and is beautifully constructed using the modern technologies and design elements that Back Cove Yachts are renowned for. 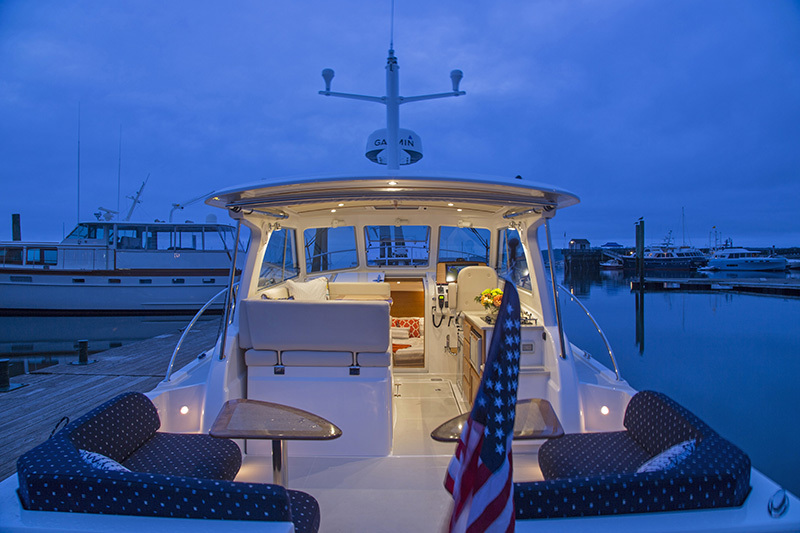 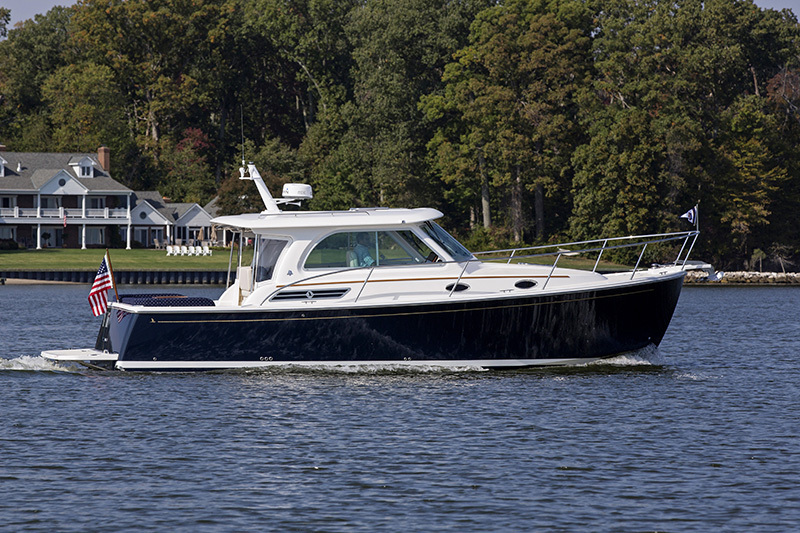 With a one level main deck, the Back Cove 32 is perfect for entertaining. 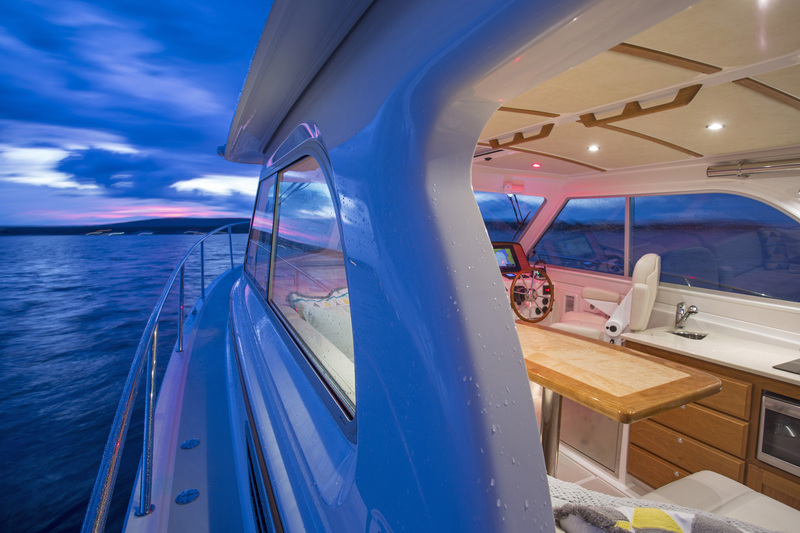 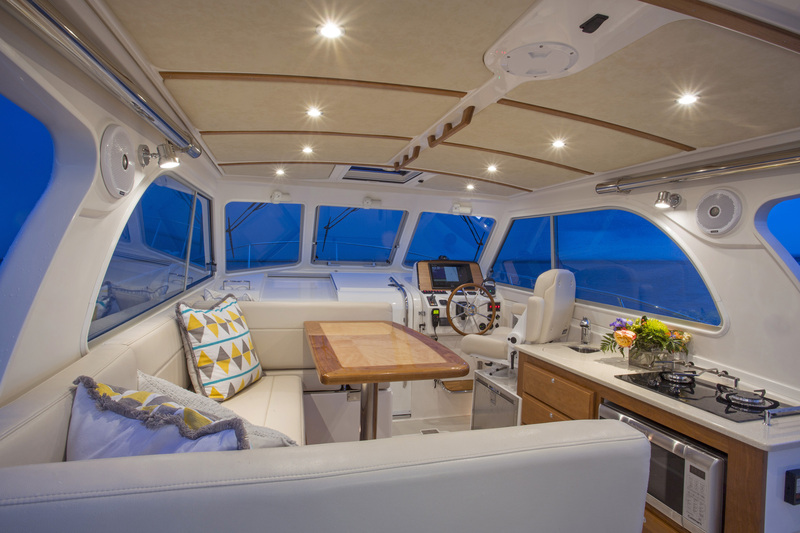 An unobstructed flow from the helm to the transom, galley up on the main deck, and comfortable settees, make her ideal at anchor or underway cruising to your next destination. 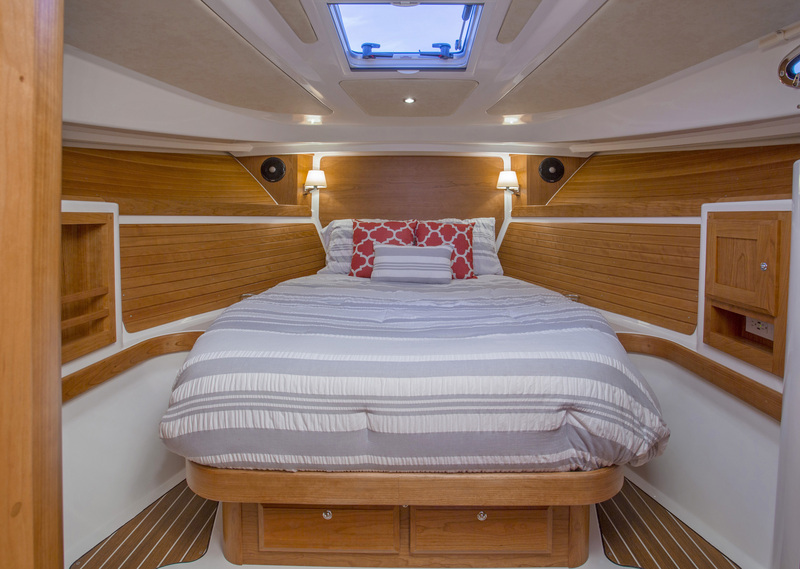 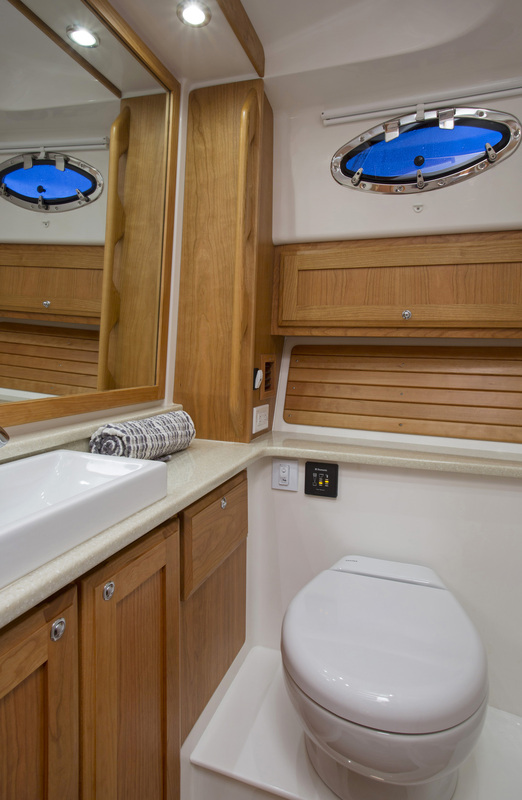 Below deck, a spacious cabin with island double berth and separate shower and toilet, provide practical and luxurious features making nights aboard a pleasure. 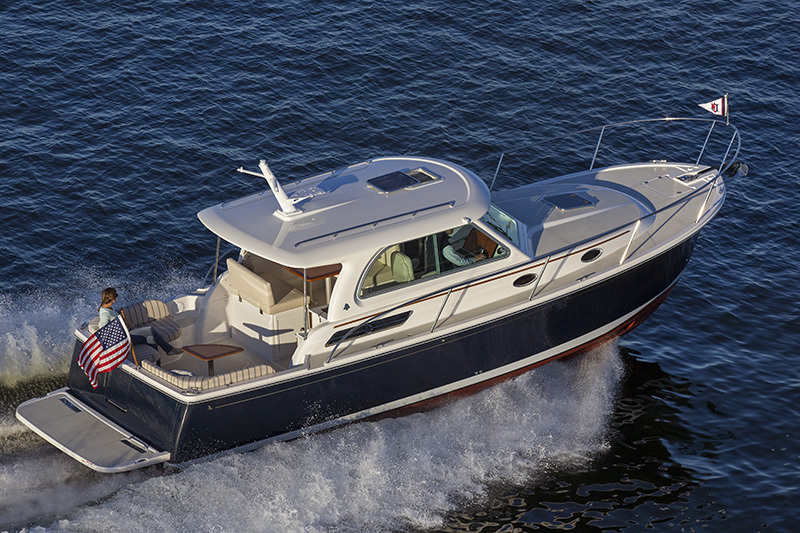 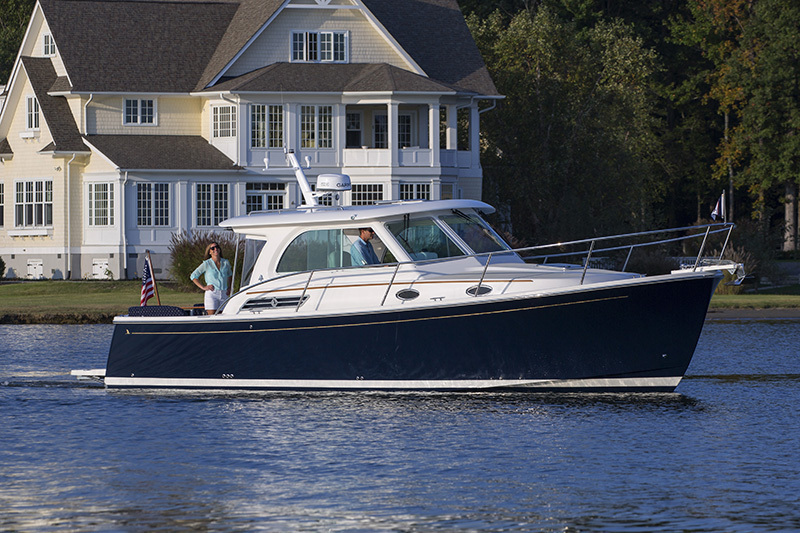 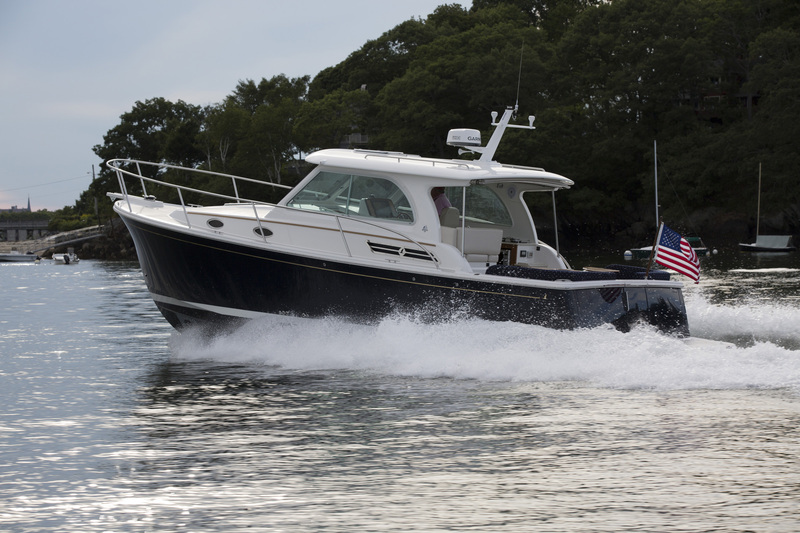 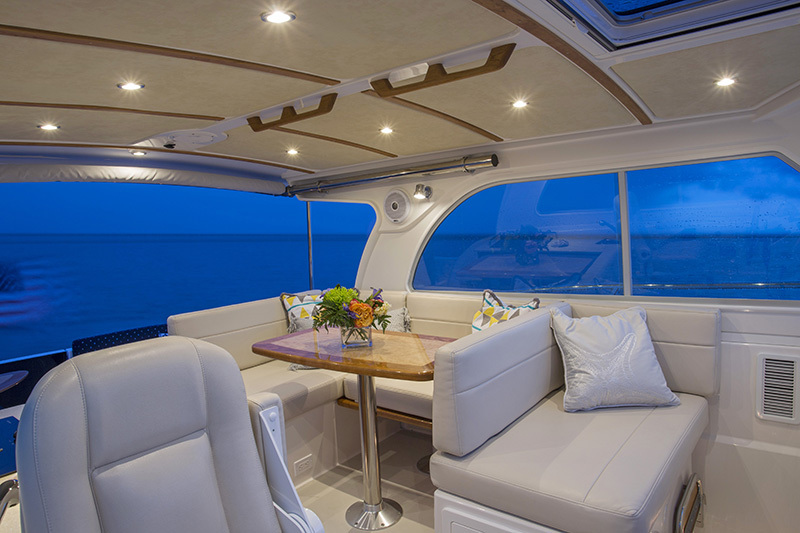 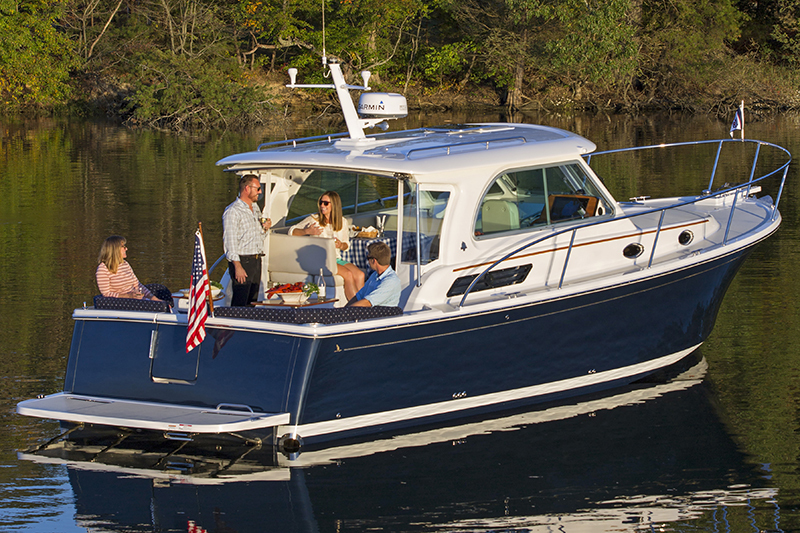 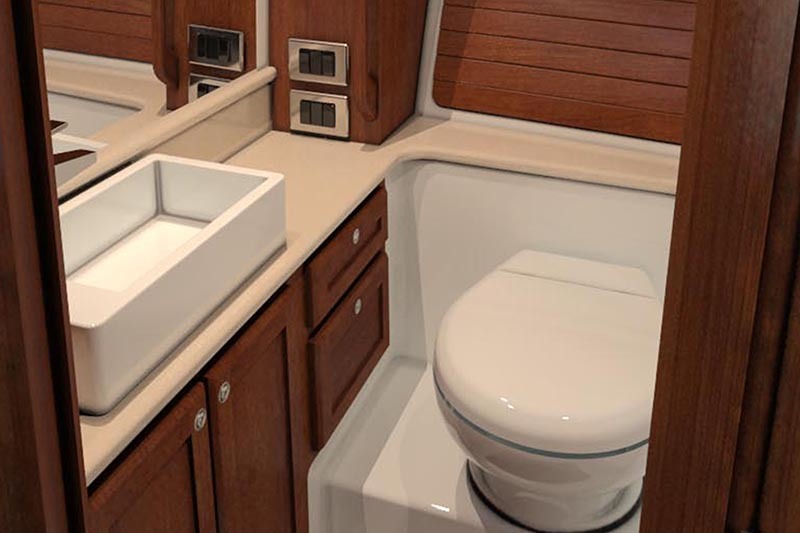 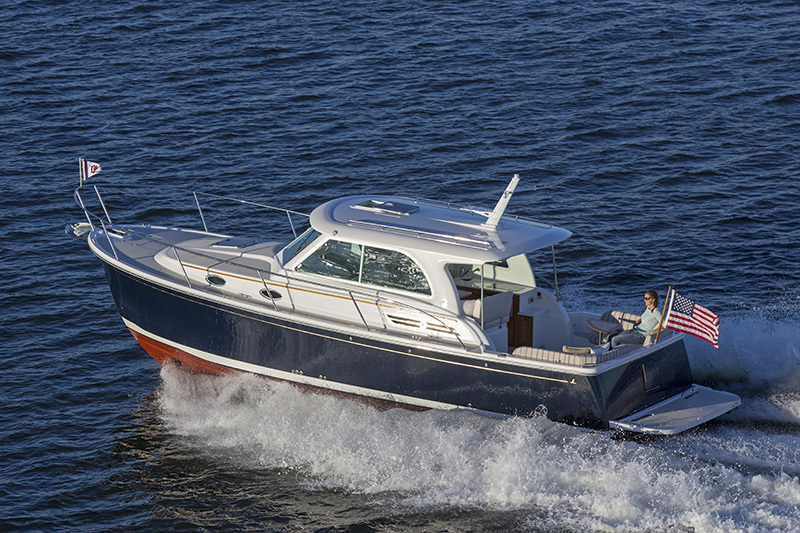 The Back Cove 32 offers practicality and versatility, stunning lines, and the latest technologies, packaged in the classic ‘down east’ styling that Back Cove Yachts revered for.